This quote from Disrupting Ourselves: The Problem of Learning in Higher Education (Bass, 2012), gives a good a reason as any for educators to develop a Personal learning Environment [PLE]; a space where we can keep up with the experimental modes of learning, instruction, changing pedagogy and instructional methods that surfaced in 2012. In a previous post I introduced the concept of PLEs and touched on why educators may want to consider developing a PLE for 2013. In this post I’ll outline how educators can develop their own PLE, where to start, and I’ll provide specific action steps, and what tools to use. First though, I’ll share three convincing reasons why we should get serious about PLEs—why they aren’t just for students. We need to disrupt ourselves: The model of higher education is at a turning point. PLEs provide a framework for us to expand our knowledge in our areas of expertise, and in teaching and instructional methods that are and will be appropriate and relevant for the digital era. The Instructor’s role has changed. 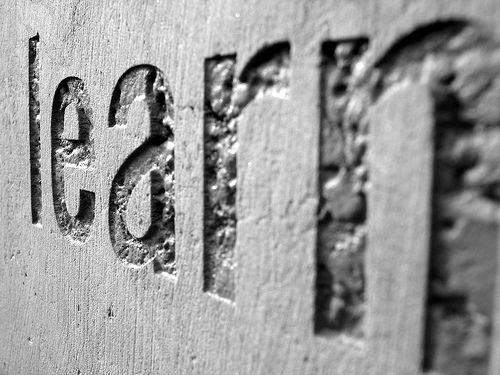 The learner is moving to the center of the learning and teaching model, and relies upon a variety of sources for learning. PLEs will help instructors not only stay relevant in his or her field, but will provide an opportunity to learn how to use tools that will enhance instructional methods and adapt to the changing paradigm. Access to the Internet has changed how we teach and learn—forever. New tools devices, and applications are changing our culture and society. Education is not immune. We need to adapt and respond—PLEs will help us to do so appropriately by responding from a position of knowledge and understanding. Begin with a model: As I wrote about before a personal learning environment is considered to be a concept rather than an entity—and concepts need a framework or model to flesh out the details. As with any other model, a diagram is helpful in describing, shaping and explaining the concept. However, by the very nature of PLEs each diagram will be unique. If you peruse this site, you will see what I mean, no two are the same. 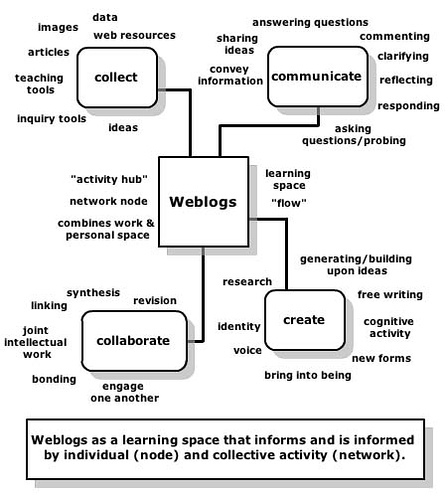 There are several helpful articles describing how to create a PLE on the Web, including several with a focus on creating a Personal Learning Network (a component of the PLE). Below are guidelines gleaned from the resources collected, which I’ve compiled into four steps. Decide on upon areas of focus: establish personal goals for learning. A PLE is holistic, and can include professional and personal interests. 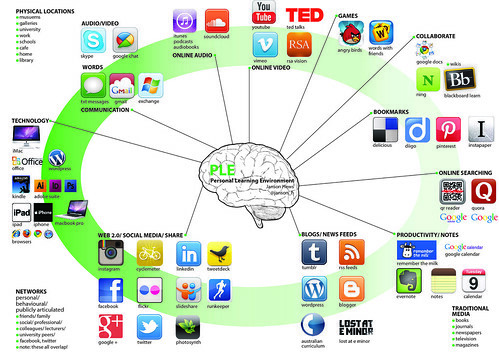 Determine which Web 2.0 tools to use: A PLE requires use of Web tools and applications to create a personal and virtual learning space. A PLE is also dynamic—the learner is an active participant and doing the three key functions: Collect and curate relevant content, resources into a meaningful collection in a virtual space, Construct and create to develop new knowledge and understanding. This could be through blogs, Slideshare presentations, Wikis etc. Sharing is inherent to a PLE, learning does not happen in a vacuum, but involves communicating with others. Another phase in a PLE is collaborating, working with peers to create new knowledge through digital objects, documents, etc. Start slow, it takes time to learn a new application and build and develop content and resources. Establish time each week to developing the PLE. It takes time to develop and grow a robust PLE. Create a diagram of the PLE. The purpose of the diagram is to provide a framework for learning goals, identify tools and provide a digital footprint and record of the PLE. PLEs are dynamic, they change and adapt to learning needs and goals. Start small – developing a PLE takes time. If you are able, share your thoughts or diagrams – I am sure readers would appreciate hearing from other educators. To read the follow-up post on Personal Learning Portfolios and how to create on, click here.